Jordan: Supplier consolidation has no deadline. Ford Motor Co. will allot nearly two-thirds of its annual parts contracts to a small group of key suppliers that have qualified for the automaker's Aligned Business Framework, the automaker's list of preferred suppliers. Burt Jordan, Ford's executive director of global vehicle and powertrain purchasing, says suppliers that have earned that designation will get a "large majority" of Ford's future contracts. Last year, 49 percent of Ford's global purchases went to those suppliers. Eighty-nine suppliers are in Ford's Aligned Business Framework program, including 13 added in April. Jordan, who directs Ford's $50 billion annual purchasing budget, described the company's efforts to consolidate its supplier network in an interview with Production Line Senior Writer David Sedgwick. Here is a condensed, edited transcript. 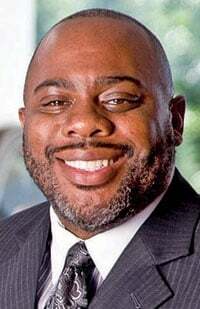 Last summer Ford gave you and Birgit Behrendt -- Ford's executive director of global programs -- more responsibilities as [purchasing chief] Tony Brown's two top lieutenants. How do the two of you work together? Birgit deals with most of the internal purchasing issues. She is the internal face of purchasing, working with the company's leadership team. She coordinates Ford's purchasing and product development activities, right? Exactly. And I make sure that we get our parts on time. She is Mrs. Inside, and I am Mr. Outside. How much does Ford expect to spend on parts purchases in 2010 and 2011? We estimate our production purchase right now to be $50 billion in 2010. That will go up in 2011, based on production volume increases. In 2006, Ford's preferred suppliers accounted for 34 percent of your production purchases. Last year that went up to 50 percent, and eventually those suppliers will get 65 percent, right? A large majority of our business will end up with that group. Eighty-nine of those preferred suppliers now are in your Aligned Business Framework, Ford's process for choosing strategic suppliers. You added 13 in April. Have you added any since then? We have gotten into a routine where we are going to do it once a year. We do it in the spring, when we have our top supplier meeting. When you launched this program, you started with major systems like brakes, axles, seats. Is Phase One finished? Ultimately, how many suppliers will be in your ABF program? It's somewhere between 89 and 750 suppliers. [Laughs] There isn't a number on a wall somewhere that says how many suppliers we'll have in that program. How many suppliers does Ford want to have in its global production network? When we started this in 2004 we had 2,450 production suppliers. Last year we were down to 1,650. [Of those,] 850 are eligible for new sourcing. And we are trying to get down to 750. But you have not put a deadline on it, correct? Ford has emphasized that it wants its suppliers to be global. Is there any room for regional suppliers that are not present in every major market? There will always be some regional players. Some components just don't ship well -- like seats, for example. And there are some niche technologies that will affect that as well. As we [introduce] "value" platforms, there may be a component that we need only in India or China. Last year, Ford asked some suppliers to share their technology with Ford if they could not supply the part in all regions. What's the reason for that? Because we are going with global platforms, we are asking suppliers to support us. You can have factories in all of our regions. You can have joint ventures in various parts of the world. Or you can have technical agreements in all parts of the world. But if you can't [do any of those things], you must identify a supplier and work with that supplier in the region in which you have chosen not to participate. Does the supplier choose its own partner, or does Ford do that? In most cases, they'll figure it out themselves. If they can't, Ford will work with them to figure it out. Does your standard supplier contract state that Ford reserves the right to step in and share the supplier's technology with other vendors? The contracts don't necessarily say [the supplier] must go [to all Ford's regions]. We do say that you must support us in all parts of the world. During the economic crisis last year, Ford assembled a SWAT team to monitor the health of suppliers. Is that team still together? It is still in existence, although not nearly as busy as it once was. And we're pretty happy about that. Last March, a survey of suppliers by UBS Securities said that 6 percent of them were in danger of bankruptcy. Is that a good indicator of the financial stability of Ford's suppliers? I can't speak in percentages. But we've seen [the frequency of supplier bankruptcies] come down tremendously. We've returned to pre-crisis levels -- 2007 levels. What is your biggest worry about Ford's suppliers? We're still ramping up [production]. We have to make sure suppliers have the right production capacity in place, with the right quality. We've worked far too hard to improve our quality to lose it at this point. That's our biggest concern. Have you lost any suppliers this year? It's only been a few. It's not happening anywhere near the pace that it did last year. No major ones. Our larger concern are the Tier 2 and Tier 3 suppliers that are not visible to us. That's where you see the most distress. How do you monitor these smaller suppliers? We work with our Tier 1 suppliers to make sure they follow the same processes that we do. It's their responsibility to manage their suppliers the way we manage ours. Let's talk about China. Can you find all the suppliers you need for your Chinese assembly plants? We work very closely with our [joint-venture] partner, Changan Automobile. Tony Brown is sorting out what our strategy needs to be. We were over there in August and early September, and we'll be there again in the next couple of weeks. It is of high importance on our radar screen. What percentage of components has Ford localized in China? It ranges from 60 to 85 or 90 percent. It varies by program. Do you want all Ford models produced in China to have 85 to 90 percent localized parts? We think we have to have significant localization to be competitive.